Join us as Nancy Walczyk, TNGS Director of Research, discusses City Directories. 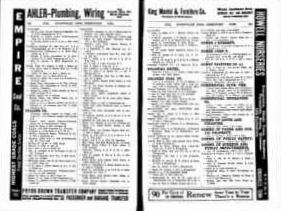 What genealogical information can be found in City Directories? How can they be used to break through brick walls in your research? How can they be used to flesh out information about your ancestor? What directories are available for Tennessee?